*Minimum two seats per training. This course is for salespeople who are looking to close more deals, faster. HubSpot’s CRM is a free standalone product, so the marketing license isn’t necessarily required to make the most of this session. Of course, if you’ve already invested in HubSpot’s marketing platform, it will help with things such as automation and reporting. HubSpot sales and CRM is a great tool for ‘hunter’ salespeople. If you’re actively trying to source new business, convert prospects, and close more deals, then this training session will give you the know-how to do just that. We’ll cover the CRM and sales tools basics, as well as look at best practice emails, call styles for inbound leads, and how to map your sales process to the tool to build conversion funnels, which will allow you to forecast more accurately and report on the effectiveness of your sales team. 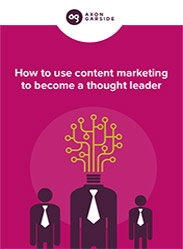 HubSpot has a lot of resources available to teach you how to use the tool. However, we believe there is nothing better than hands-on training where you can get instant feedback, ask as many questions as you like, and get answers specific to your business and industry sector. We don’t want you to just listen to a presentation. Our sessions actively encourage engagement. And as all participants are asked to bring a laptop, you'd be able to follow your HubSpot expert inside your own portal - building pages, customising forms and creating CTAs in real-time with the guidance of your tutor. As a HubSpot Platinum Partner and users of the tool for over 5 years, we’d like to think we know a thing or two about HubSpot. You’ll be in safe hands with one of our HubSpot qualified consultants, who will give you best-practice advice, and practical tips you can take away and implement in your own inbound marketing strategy. If you’re pressed for time or just want to learn HubSpot fast, then our full-day intensive course is the right choice for you. You’ll finish the day knowing everything you need to start developing an effective inbound marketing strategy. Even if your main driver to come to one of our training sessions is to simply learn about HubSpot, we also cover things related to the inbound marketing methodology, such as campaign types, content advice and best practice marketing tips. Feel free to ask us questions and we’ll do our best to help! We're flexible. We can come to you or you can come to us. We understand how busy people are, and as such, we try and work with you, not against you. Our offices are in Manchester City Centre, a 5 min walk from Piccadilly Station, meaning that we have great transport links coming in and going out of the city. 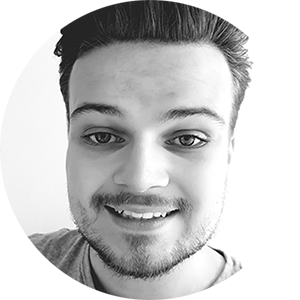 Jack works with fast-growing B2B companies in the high-tech and industrial sectors to build fully integrated sales and marketing programmes. With specialities in CRM, sales process mapping and sales & marketing automation, Jack has helped a number of businesses leverage the power of technology to enable them to sell better and faster. Additionally, Jack’s work with sales automation has been distributed to the HubSpot partner network, and is now used as training collateral. 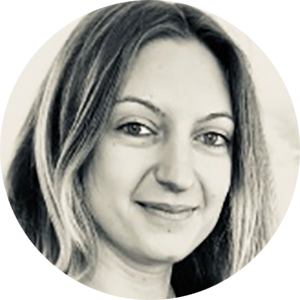 Iva is one of Axon Garside’s HubSpot qualified Inbound Marketing Consultants. She works closely with B2B clients in order to increase the number of website visitors, leads, and ultimately customers, they generate through their online channels. Typically, Iva’s day is made-up of creating lead nurturing campaigns, content generation, social media management, as well as analytics & reporting. - What is Inbound Sales and how is it different from traditional outbound selling? - How to use the HubSpot CRM - including contacts, companies, deals, and sales pro features, such as templates, documents, meetings etc. You’ll need to have access and administrator usage rights to your company's HubSpot portal. This won’t be a day of note-taking. We want everyone to get involved and have a go themselves while our tutor guides you through the day. We’ll provide the Wi-Fi (unless the day is held at your office, in which case you’ll be providing the Wi-Fi) if you bring a device to use it on. If you haven’t already connected your social media accounts to the tool, then make sure to bring your login details with you. As much as it’s great to hook up your corporate accounts, we often recommend connecting your company employees accounts too. Personalisation delivers results! If you have a relevant piece of content to promote on your social channels, such as an existing news article, a blog, or even a landing page, then bring it along. We’ll help you distribute it to your social audience. If you have a piece of content that can be hosted for download, such as an eBook, white paper or a case study, then bring that too. We’ll show you how to host it in HubSpot, create an associated landing page, thank you page and follow-up email, as well as help you write the web copy for each page with best practice guidance. If you don’t have a piece of downloadable content, then don't worry - we’ll provide you with something as an example.